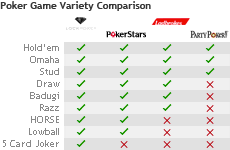 How big is Lock Poker? 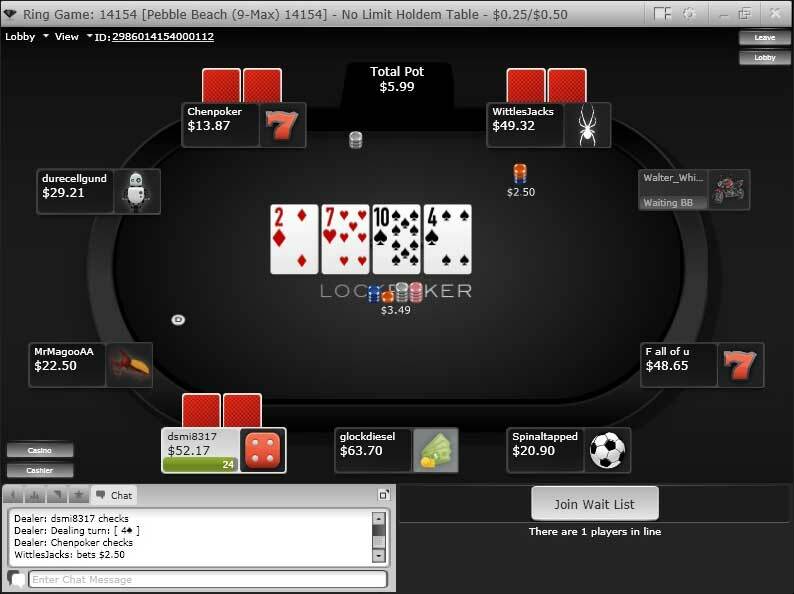 Lock Poker is experiencing severe payment issues. 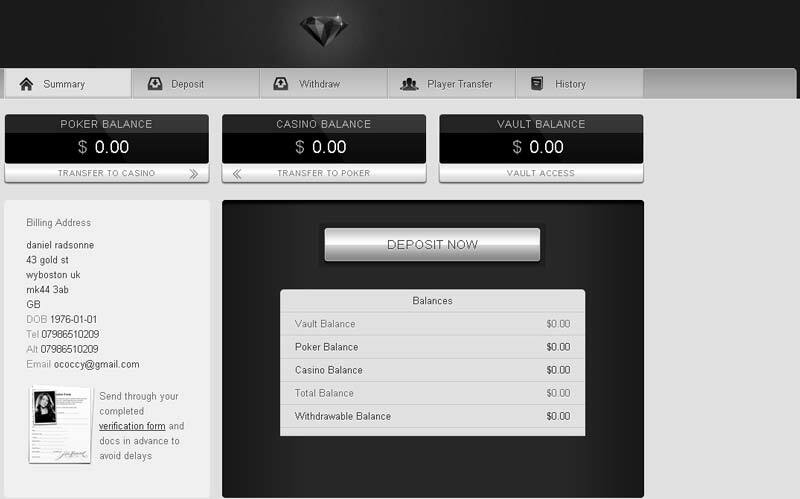 Due to this, Rakeback.com advises you to proceed to signup with America's Cardroom. NOTE: The links on this page will direct you to Americas Cardroom, not Lock Poker. 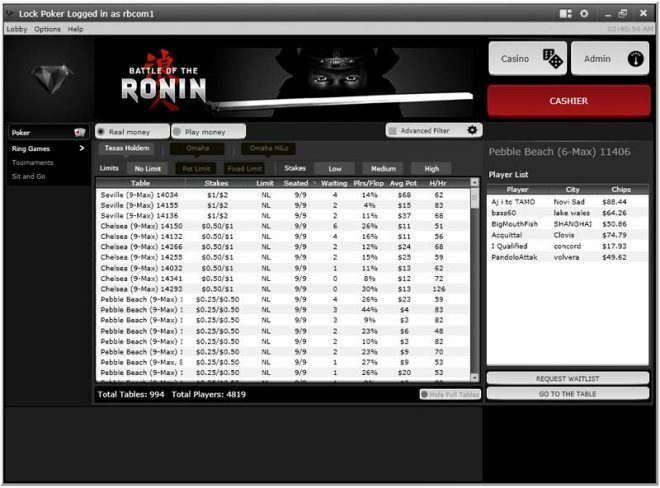 With 36% rakeback for all players it doesn't matter if you play a little or a lot at Lock Poker. Everyone is rewarded at the same rate. Low volume players can get over $300 a month by playing just 400 hands of $25NL a day. 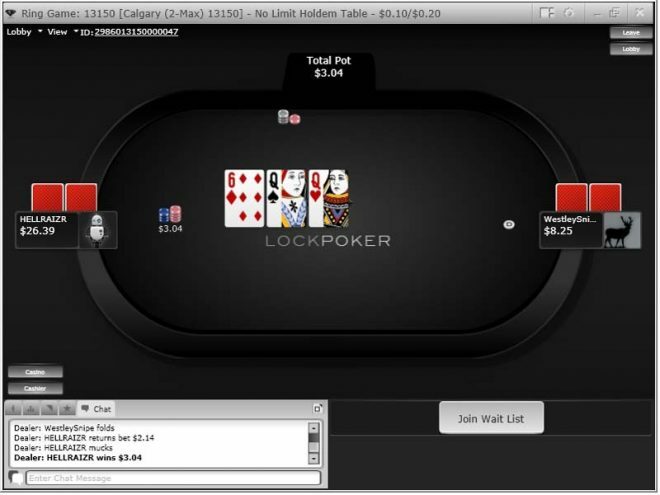 Lock Poker is a poker room on the Revolution Gaming Network (ex-Cake Poker Network). Revolution Gaming’s games are nicely populated, and at one time the network was the largest in the world that serviced customers based in the United States. Lock Poker’s gaming license is with the Curacao e-Gaming Licensing Service. Players at Lock Poker will earn 36% Lock Poker rakeback. Higher volume players can earn a higher percentage by opting-in to the VIP program, however due to Lock Poker rules; we are unable to display this percentage. Please email a support agent for assistance. Lock Poker Rakeback payments are paid on a daily basis. Beyond the VIP system, players at Lock Poker can participate in freerolls, SNG and tournament leaderboards, huge guaranteed tournaments, and the Poker Maximus tournament series with over $1.5 million in guaranteed prizes. If you feel like taking a break from poker, you can head over to the Lock Casino using the same account balance. Sign up to Lock Poker now to get 36% rakeback.